Added 6/8/2006 Here we see the license plate design for the girl's car, surrounded by ideas for how that car will look. 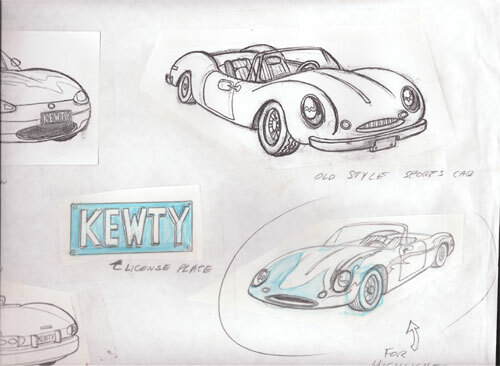 The upper two are copies, the lower two are original drawings. 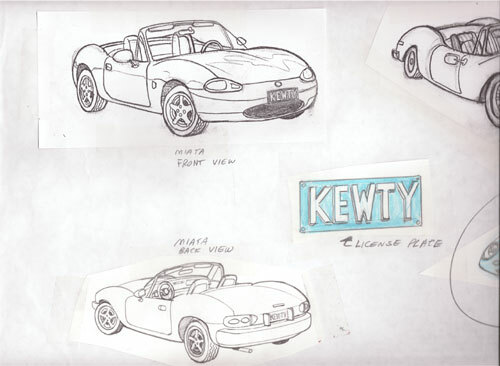 The original art for the right upper is found below, as is something close to the upper left car. Look under sketch 1 for the left half of the image. 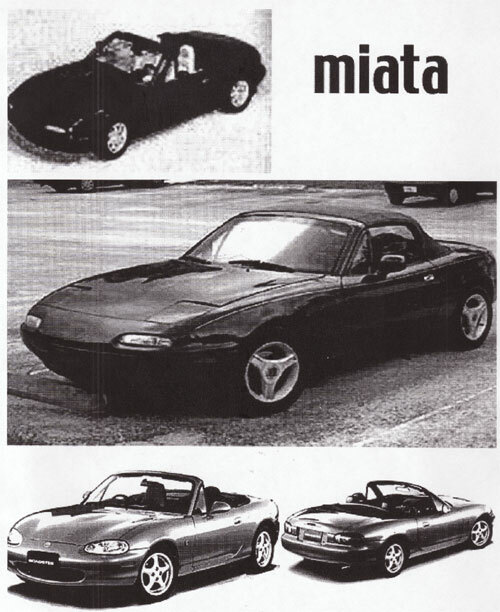 Look under sketch 2 for a photocopied miata reference page used in making these.